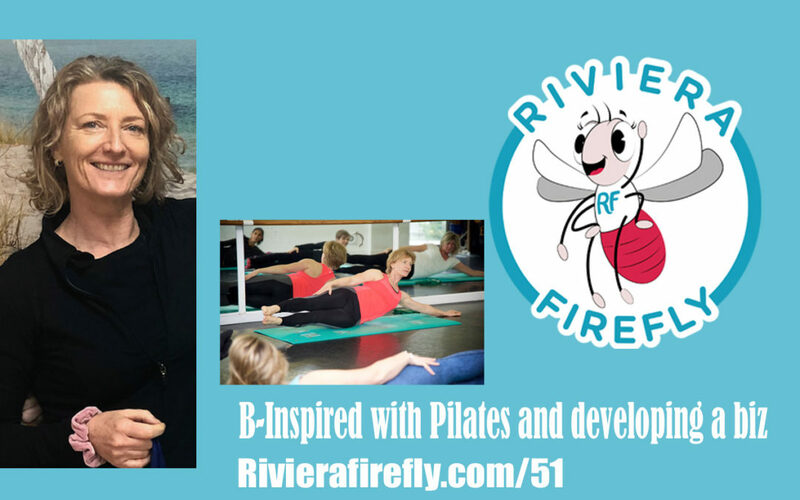 Amanda joins the Riviera Firefly Podcast here in the South of France to talk to us about her business journey. She initially started her career in dance even treading the boards with Cilla Black in a performance of Aladdin. After traveling the world on cruise ships she decided a change was needed. St Paul de Vence is a stunning perched village in the South of France and was once home to some of the world renown artists like Picasso Matisse and more. It is worth a visit because around every corner is some great art – but it can get a little busy. Amanda decided to follow her passion and retrain as a Pilates instructor. She did all her training in French which was no mean feat. Setting up a business these days can be a challenge especially if you are not a marketing whizz. Getting your message out there and having the right clients respond is tough! KidooLand has been hosting Amanda since September 2018 on Friday mornings where she teaches Pilates and Total Barre. Amanda likes the beach walks and is a real ocean girl with a passion for sailing. She can also be found up on the local ski slopes – we have many nearby Auron Isola 200 Greolieres and some more in Italy. The French Riviera has so much to offer. Great community, lots to see and do a very multicultural place to be. Amanda has been feeling the fear and doing it anyway with this podcast and videos. She is really pushing herself to achieve. Help her by sharing her episode! KidooLand will have an open morning on 28th February 2019 to find out about the Playgroup and Kindergarten. Holiday camps run in the Winter, April, Summer and October holidays and welcome children from 4-16 years. We have very popular mum and baby, parent toddler clubs too as well as activities for those without children with more to come in 2019.